If you celebrate Easter by hiding a dozen or two hard boiled eggs lovingly dyed in pastel colors by your kids around the house, you probably ask yourself what on earth you’re going to do with them once they’re all (hopefully!) found. Though we love a good hard-boiled egg sprinkled with salt and pepper, there are so many more deliciously creative ways to enjoy your Easter egg hunt bounty! And just in case you think you’re too old to enjoy decorating eggs, we’ve got some mouthwatering reasons you should hard boil and decorate with reckless abandon. There’s a reason the deviled eggs are the first to vanish at a party. They’re the perfect finger food for noshing. Creamy and mellow yet savory with a hint of spice. So many wonderful flavors packed in such a petite package. 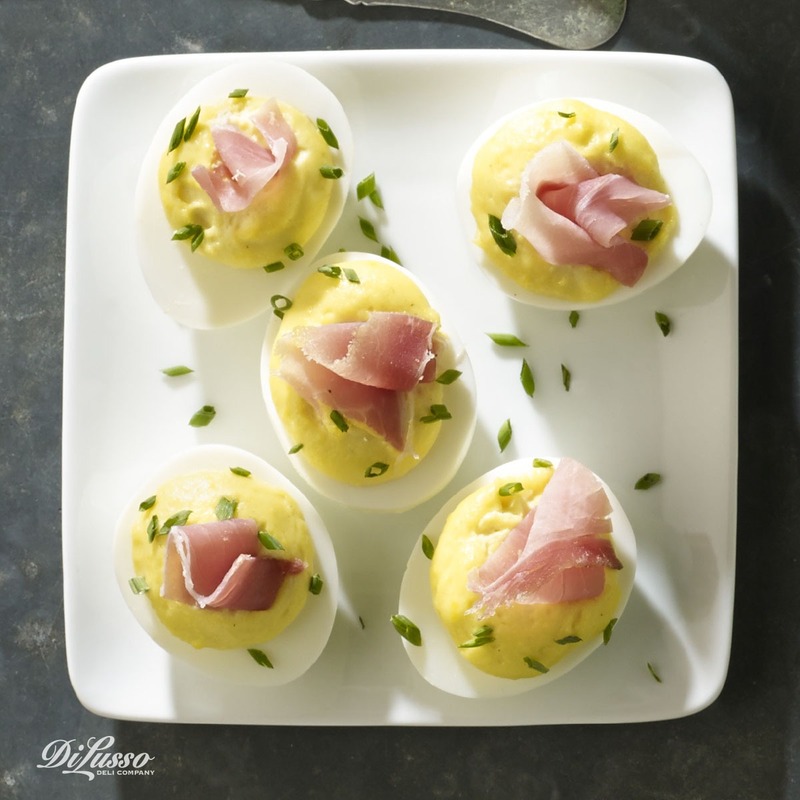 Our Deviled Dijon Eggs are a classic preparation we’ve topped with our prosciutto and fresh chives. They’re incredibly easy to prepare and do not disappoint. We’ve had a lot of fun playing around with this recipe. It’s a great base for experimenting with different flavor profiles. 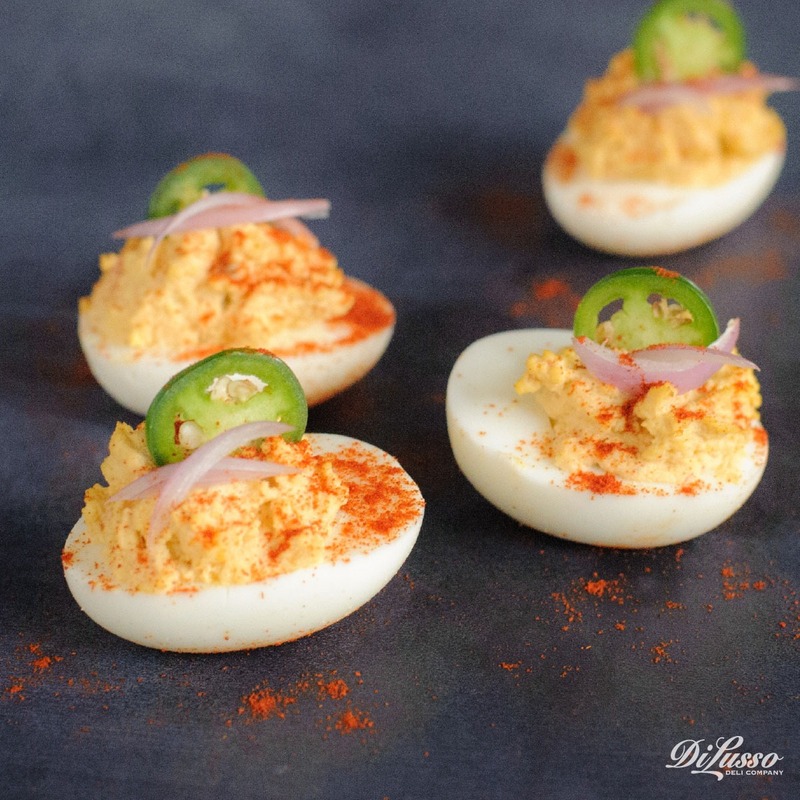 A whole new deviled egg is born by substituting traditional mustard with our Chipotle Mustard and topping with a sliver of jalapeño, shallot and sprinkle of cayenne pepper. Fans of Tex-Mex and southwest cuisine will love these. For an Italian twist, mix our Sun-Dried Tomato Aioli in with the egg yolks and top with Roasted Red Pepper Strips and a Parmesan crisp. 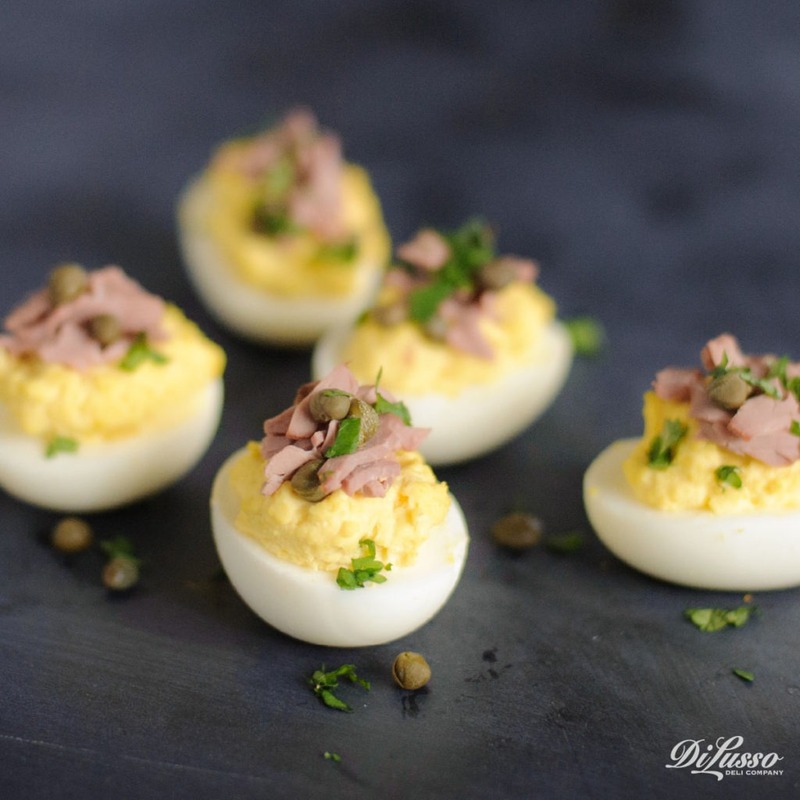 Mix our Horseradish Aioli in with the egg yolks, top with a small piece of seasoned roast beef, a few small capers and fresh flat leaf parsley for another delicious combination. 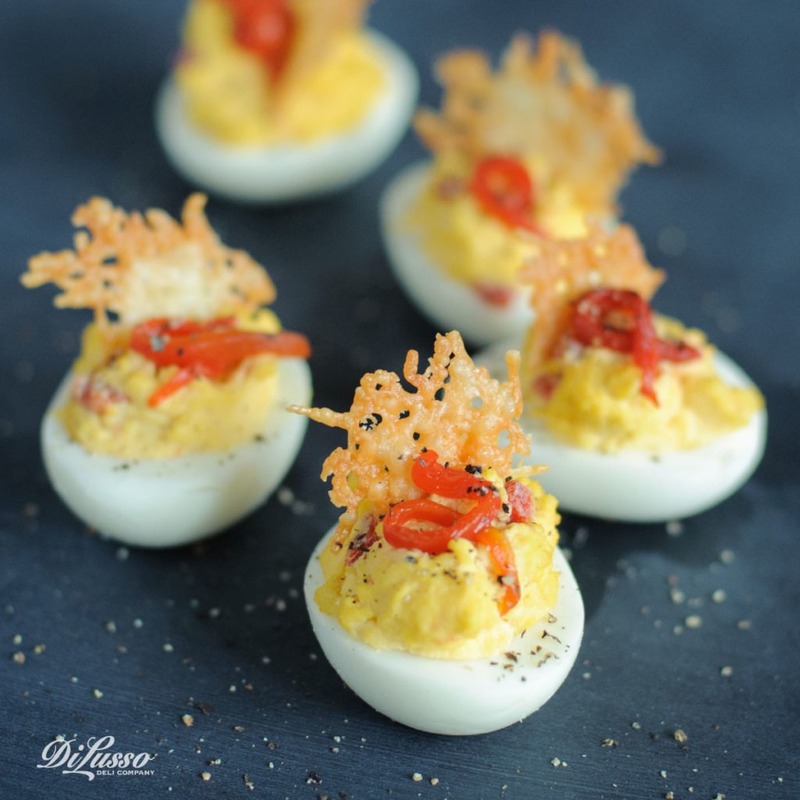 Set up a build-your-own deviled egg topping bar as a clever way for your guests to personalize and create their own masterpieces. Whether you serve all varieties, pick your favorite or use these as inspiration for a new creation of your own, one thing is for certain – these will disappear fast!